When you consider the logistics of installing a Cat 6A cable to support your wireless needs, you’ll specifically want to think through exactly how the cable will plug into the access point (AP). One of the reasons the Cat 6A cable can support 10Gbps speeds is that it’s built larger than a Cat 5e or Cat 6 cable, which means installation will require more planning due to the space it will occupy. It also means there will be added difficulty in terminating it. 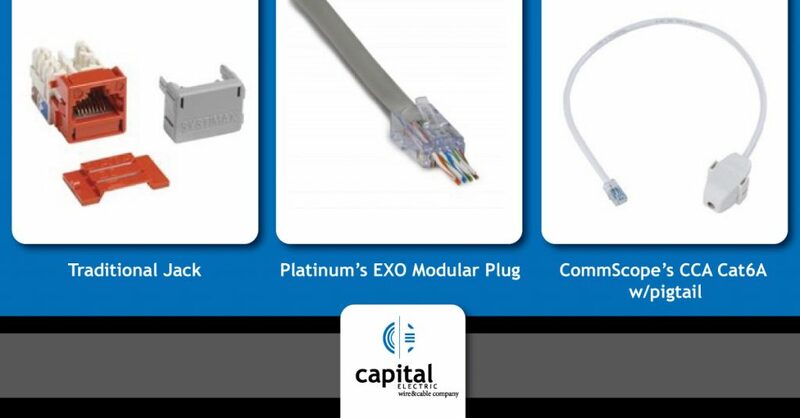 Install a modular plug onto the Cat 6A cable itself. Known as direct termination, it’s now recognized by cabling standards as legit. However, that doesn’t mean it’s easy. The team at Capital would be thrilled to help you explore any of these options. Use the form below to let us know where you’d like to start.